Today I wanted to share with you my all time favourite shampoo, I have to use something that is kind to my hair and scalp. My scalp is very sensitive and the wrong product can send me into a week of painful skin, There are only a couple of brands I know do this to me. Recently I tried a new shampoo and this is exactly what happened and I went into my hairdressers and asked to purchase something with tea tree in it. this is what was recommended and I am so happy to feedback that this is the miracle product that soothed my reaction to the other shampoo. My skin on my scalp is very sensitive so this is a product I really enjoy using, it soothes my skin and leaved my hair feeling soft and cared for. Paul Mitchell is a brand I have used before and loves so I am pleased I am able to get hold of this shampoo easily. 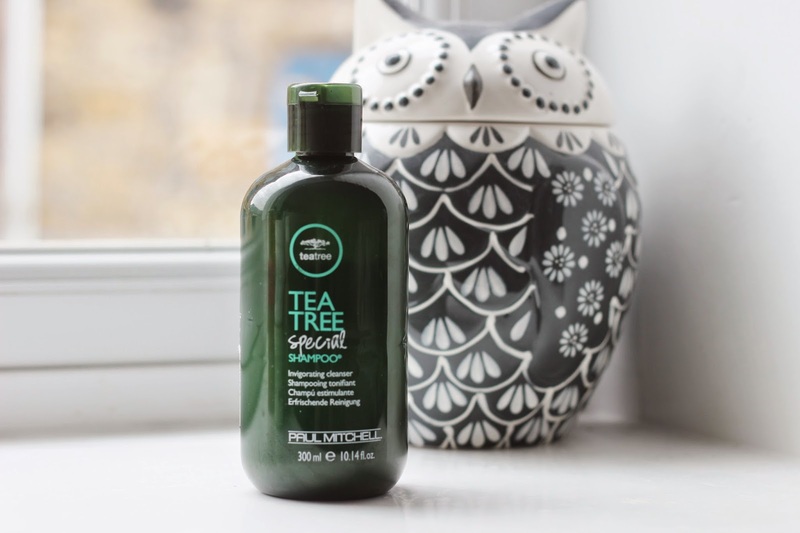 My hairdresser used tea tree shampoo on my hair when I got it done a few weeks ago, so this is a product I love and will stick with. It is a lot more expensive than my usual drug store shampoos but it is worth it for a pain free scalp. My hair looks great and feels softer using this shampoo which is great as I dye my hair. I only use semi permanent hair dye but it still needs that extra care. How it works, it has natural tea tree oil, peppermint and lavender in it. I can feel my scalp tingle when I use this which is really refreshing, this would be the peppermint in it. It leaves my hair smelling great which is a huge bonus. I enjoy washing my hair with this product as I know I won't regret using it. This shampoo is vegan friendly and is colour safe. You feel like your hair and scalp are getting a cleanse due to the peppermint in the shampoo, it feels amazing and I know this will be a shampoo I have handy at all times. My hair has been feeling great and my scalp feels pain free with no issues using this product. A great product I highly recommend. I bet the tea tree feels amazing on a sensitive scalp. I love Paul Mitchell products so I will look out for this next time!